The red-hot Yankees came into Globe Life Park in Arlington on Monday night and bombed their way to a win over the struggling rangers. Coming off that series opening win, the question heading into Tuesday was, how would the Yankees fare against Rangers ace (and potential Yankee trade target) Cole Hamels? 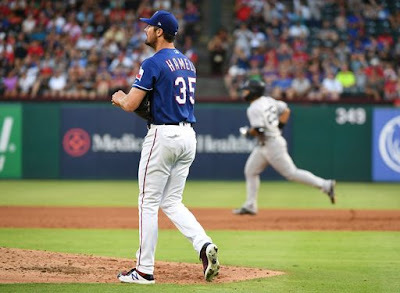 The answer was not good, as Hamels was able to hold the potent Yankee offense in check and guide the Rangers to a 6-4 win in the middle game of this three-game set. 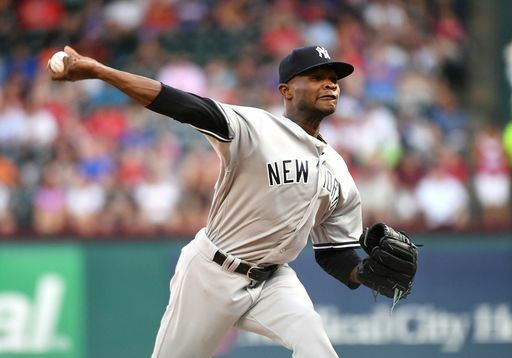 After slugging five homers and riding an Okay outing by Masahiro Tanaka on Monday, the Yankees would send rookie right hander Domingo German to the mound for his first start in 10 days and German showed some rust from the layoff. 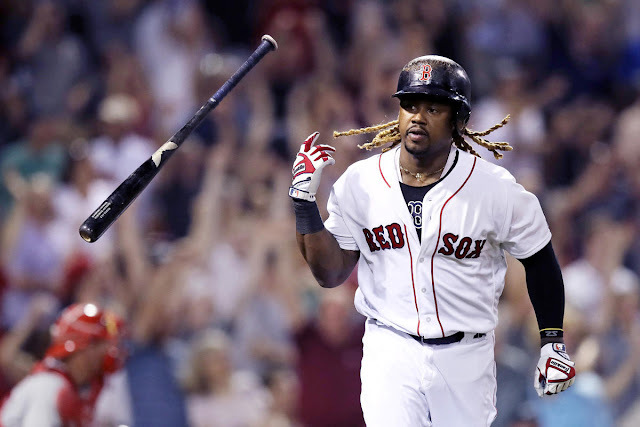 The Yankees found themselves behind early when Jurickson Profar launched a three-run home run in the bottom of the first inning. The Rangers would tack on two more in the bottom of the second on a wild pitch and an RBI groundout by Nomar Mazara. Rangers first baseman Ronald Guzman rounded out their scoring for the evening with a solo home run in the bottom of the fourth and German would leave the game, after getting only two outs in the inning. Although Hamels was tough on the Yankee offense, this game wasn’t without its bright spots as both Miguel Andujar and the phenom Gleyber Torres went deep in this one. Coming off his two-homer game on Monday, Torres launched a solo shot in the third while Andujar added a solo shot in the seventh. 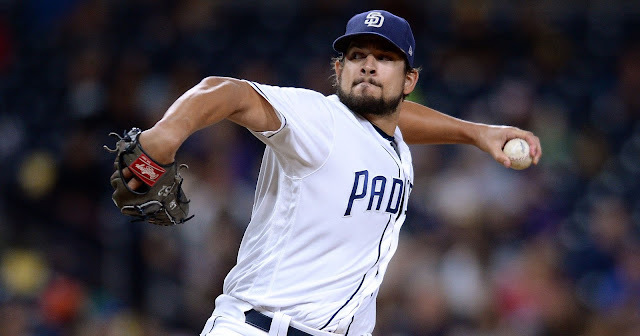 The Yankee bullpen also pitched 4.1 scoreless innings following the departure of German. 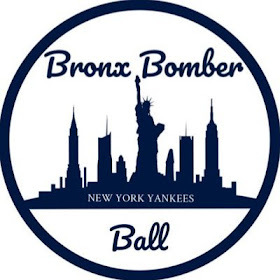 Another notable event was the first career managerial ejection for Aaron Boone, which happened in the sixth inning after Boone argued a strike call to Gary Sanchez. The Rangers were in control of this game from the beginning, but it would tighten up in the later innings. Gary Sanchez left this game in the sixth inning and the speculation is that he tweaked something running the bases. He was replaced by Austin Romine who promptly launched a two-run home run in the eighth inning to narrow the deficit to 6-4. The Yankees would bring the tying run to the plate in the inning but could not cash in any more. They went down in order in the ninth and the Rangers secured the win. The Yankees and the Rangers will play the rubber match of this three game set Wednesday night as the Yankees go for their ninth consecutive series win. The first pitch will be at 7:05 pm on the YES Network and the probable starters are CC Sabathia (2-1, 2.40 ERA) and Doug Fister (1-4, 3.43 ERA).